It features the games' legendaries. You probably already have a Nintendo 3DS if you're waiting for the new Pokémon to drop. But if you're always on the lookout for special editions to add to your growing collection, you can get a Pokémon Sun and Moon-flavored New Nintendo 3DS XL on October 28th (or November 18th in the UK). This one's definitely for those who want something much simpler than the colorful bundle released for the franchise's 20th anniversary. 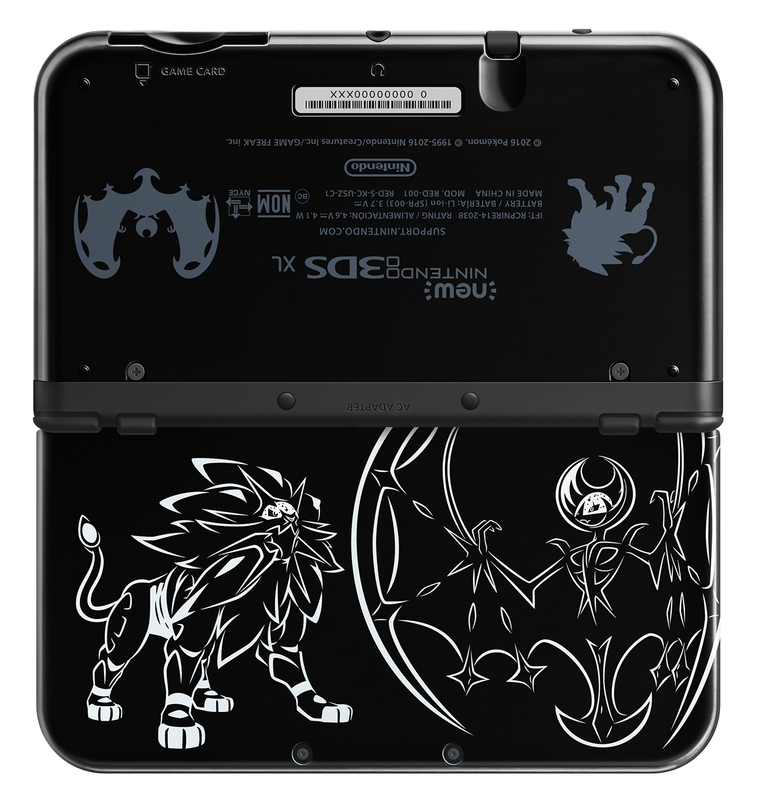 It's just a black console with minimalistic illustrations of Sun's and Moon's legendaries, Solgaleo and Lunala. Like any other 3DS XL, this edition will set you back $200/£180. However, it doesn't come with the actual games. If you plan to buy both of them, you may want to take advantage of the Dual Pack promo in the US. You can get both Sun and Moon, along with two 100-Pokeball packs for each, for $80 on November 18th.